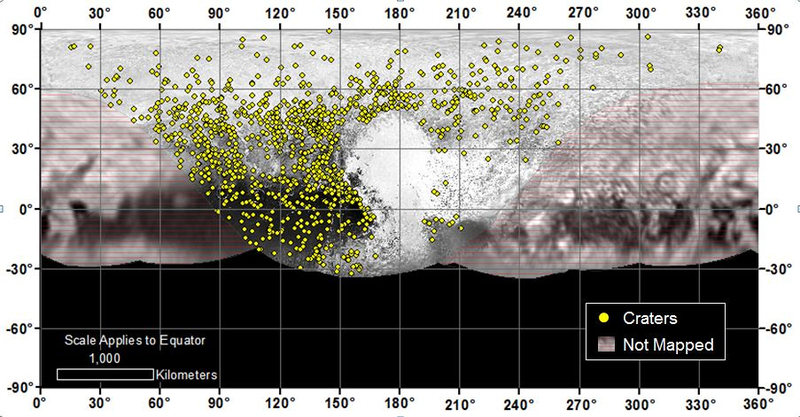 Ice Volcanoes on Pluto? What's Next! At this moment, NASA's tiny New Horizons spacecraft, which captured the world's imagination and our hearts when it flew past Pluto in July, is already some 100 million miles beyond, plunging headlong into the icy, dark reaches of the Kuiper Belt at more than eight miles per second. The armchair-adventure we've engaged in with this intrepid little robot is far from over. 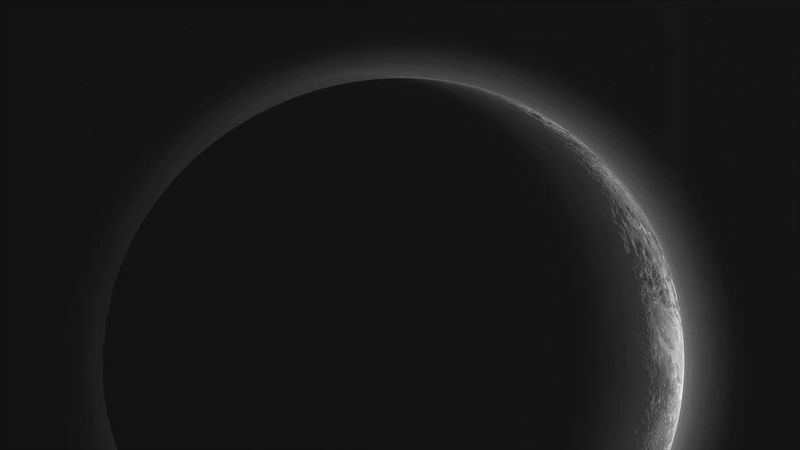 After the buzz of the Pluto encounter quieted down and people assumed the cool stuff was over, one astonishing discovery after another has rolled in with data that New Horizons beamed back to Earth. It takes time to analyze the scientific data New Horizons captured, and not all of that data has even made it back to Earth yet. With a data transmission rate of only about 2 kilobits per second, it will take until late in 2016 for all of the Pluto encounter data to be sent home. A slow process, maybe, but for scientists it's a bit like a birthday party that goes on for months, with new presents to unwrap every day. Among the surprises scientists have found inside the gift boxes from New Horizons is that Pluto's landscapes comprise a wide range of ages. Scientists determined this by counting impact craters; the number of craters on a planet's or a moon's surface is an indication of how long that surface has been exposed to meteoroid impact events, without being reshaped by ongoing active processes. Planetary surfaces whose ages stretch back to when the solar system was young and filled with debris—meteoroids, asteroids, comets, and planetesimals—bear especially high densities of impact craters. The diversity of ages of Pluto's surface tells us clearly that the dwarf planet hasn't just been stoically bearing the ravages of the solar system's slings and arrows, but has been actively healing some of those scars. While some regions do appear to date back 4 billion years to just after the solar system's genesis, other areas have been since remodeled. The smooth icy plains of Sputnik Planum, the western half of Pluto's vast heart-shaped feature, are completely crater-free, and may be as young as only 10 million years—that's baby skin in the time scale of the solar system. The ices of Sputnik Planum are not just frozen water—which are as strong as rock in Pluto's minus 378 degrees F temperatures—but frozen nitrogen, methane, and carbon monoxide. These exotic ices are not so rock-hard in Pluto's climate, and patterns in some areas suggest they are moving, or have moved recently, in glacier-like flows. The youthful, unblemished surfaces of Sputnik Planum may be explained in part by the action of flowing ices. Two of Pluto's mountains—Wright Mons and Piccard Mons—appear to be more than just mounds of ice and rock. They may be cryovolcanoes: mountains formed by the eruption of ices from beneath Pluto's surface! Wide depressions surrounded by concentric fracturing occupy the mountains' central areas, resembling pictures of some Earthly volcanic calderas. 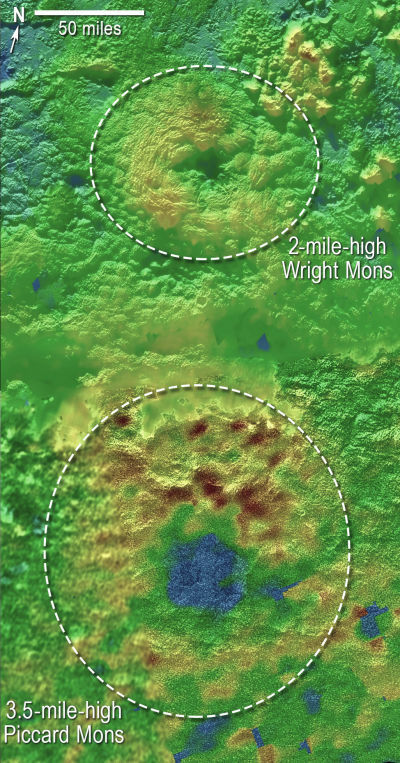 Wright Mons is 60 miles wide, 13,000 feet high, and its central depression is 35 miles across—and it's the smaller of the pair. The image of an active volcanic eruption, even one spewing out frosty slush instead of molten rock, may grip our imaginations more than any other Plutonian discovery, for the notion shatters the long-held assumption that Pluto was merely a dead, static world with little or no active processes. A scarcity of smaller impact craters on Pluto's more ancient surfaces, as well as those of its large moon, Charon, have caused scientists to question some earlier and long-standing assumptions about the formation of the Kuiper Belt, and by extension the solar system in general. 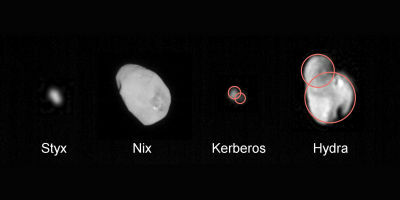 One long-time assumption had been that objects in the Kuiper Belt were gradually built up in size by the coalescence of small chunks of rock and ice that clumped into ever-larger objects, which in turn clumped together to build the objects we see today. This idea is like when a child snaps together the smallest blocks in a set of Legos into somewhat larger blocks, and then fits those blocks into even larger assemblies, and so on toward a final finished Lego structure. The lack of small craters on Pluto supports a different idea: that Kuiper Belt Objects of the sizes we see today--typically 10-miles across and up--may have formed directly from ice and rock dust. In this case the child builds the final Lego structure simply by adding single Lego blocks to it, without creating intermediate assemblies first. Even as New Horizons' Pluto flyby data continue to trickle back to Earth, the spacecraft has already set upon a new mission of exploration. Recently, mission operators conducted a series of engine thrust maneuvers that put New Horizons on a path for a January 2019 encounter with the Kuiper Belt Object known as 2014 MU69, more than a billion miles farther away than Pluto. This extended mission will give us our first-ever close look at a small Kuiper Belt Object—or any object, other than Pluto and its moons, within the Kuiper Belt. Another big gift box awaits!